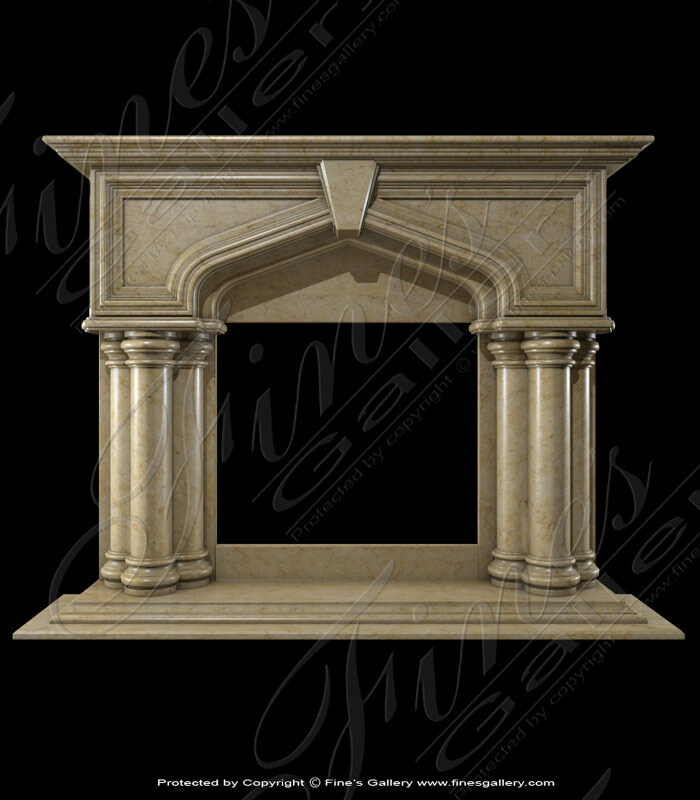 The simple elegance of this tudor style fireplace surround shows off the gorgeous natural tones found within the fine marble. 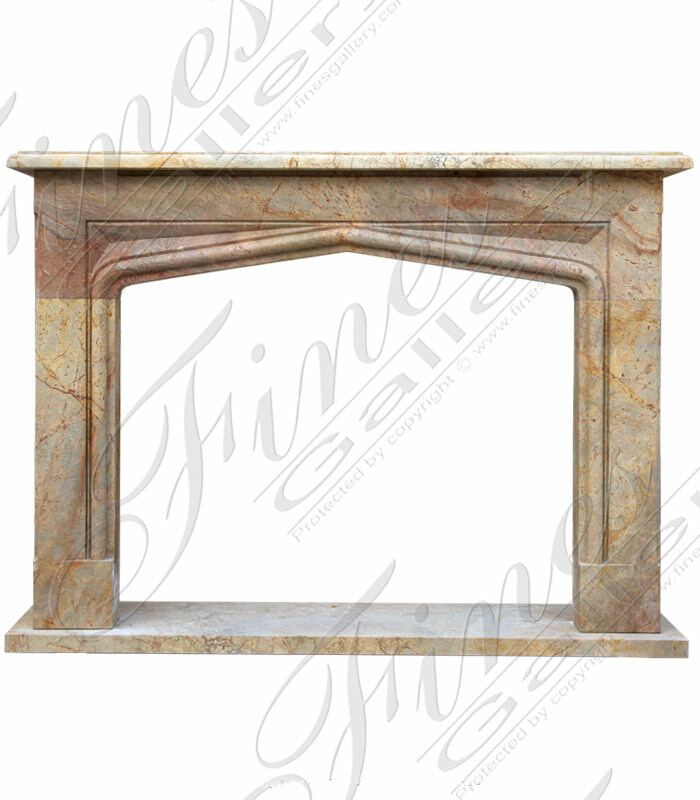 Versatile enough to coordinate with either a rustic or more refined interior, this mantel is a charming piece of home decor. 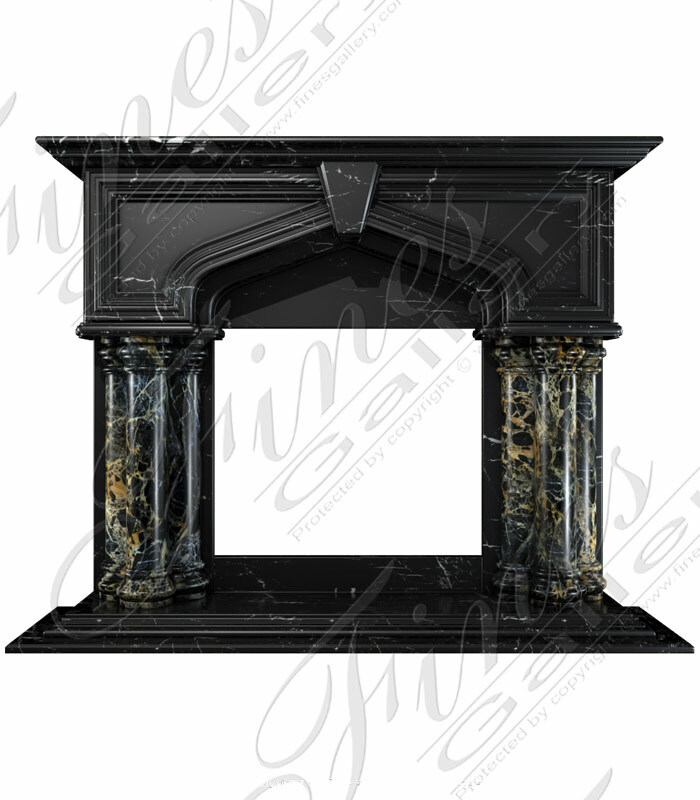 Amazing two toned Porotoro Marble Fireplace. Custom built with a 10 foot wide raised hearth. 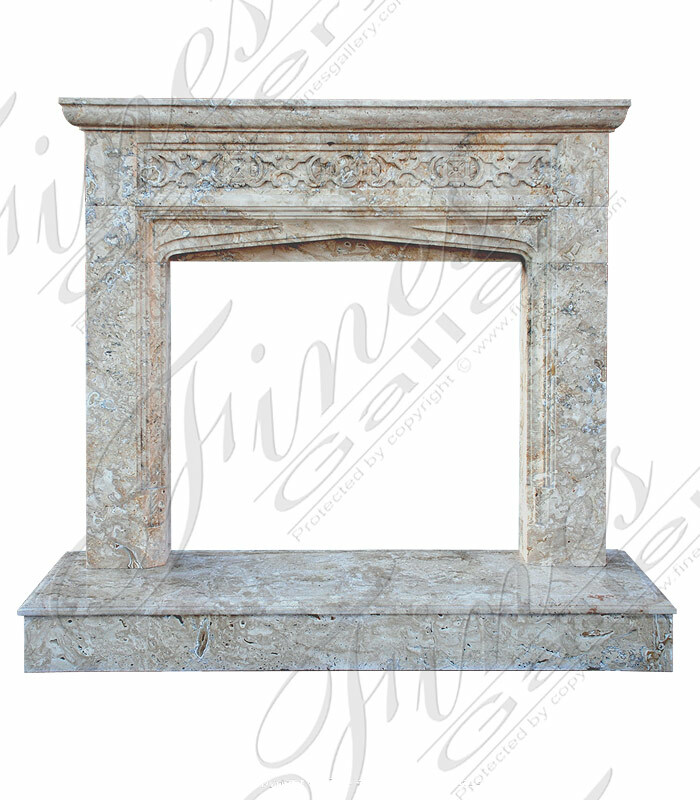 Another example of our fine carved marble mantels available to be completely customized or pick from the largest in stock inventory in the USA. 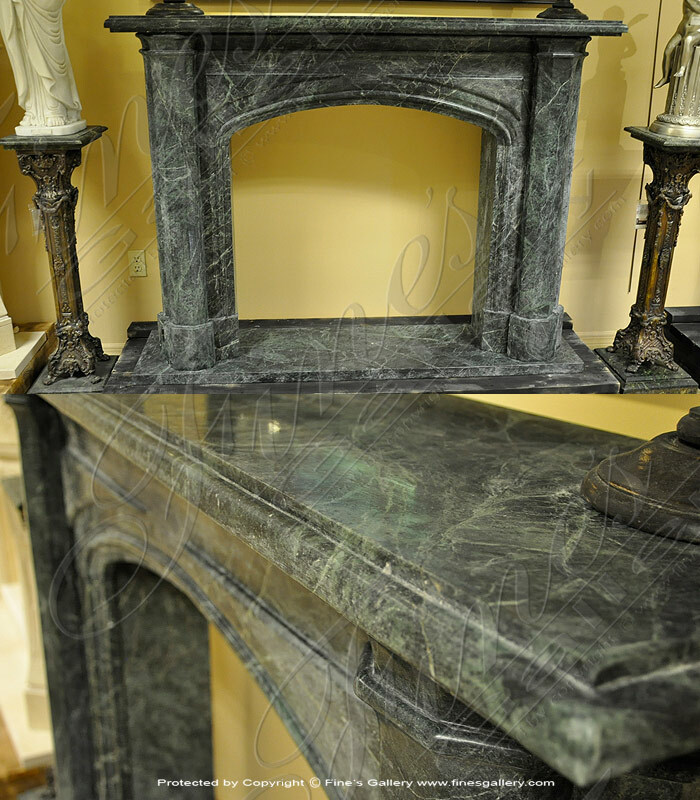 This lovely mantel piece is all hand carved from a marvelous deep green marble with stunning white veining. 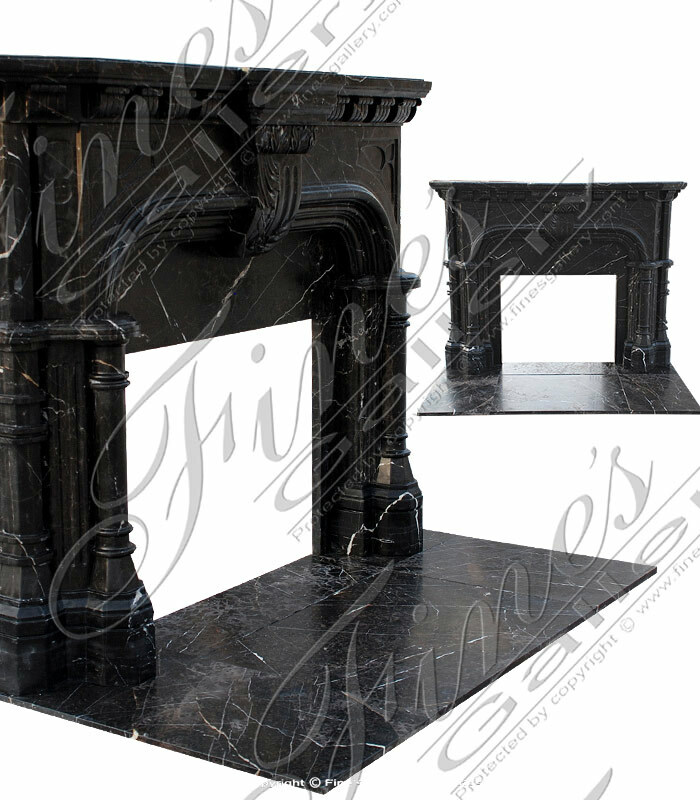 The simplicity of this design allows for optimum admiration of this majestic marble. This luxurious piece is carved from fine marble with immaculately hand crafted detail. Its gorgeous frame lends sophistication to the atmosphere and leaves lasting impressions of beauty and elegance. Call or email the Gallery for more assistance. The unrefined appearance of this marble creates the impression of beautiful antiquity and comfortable charm. 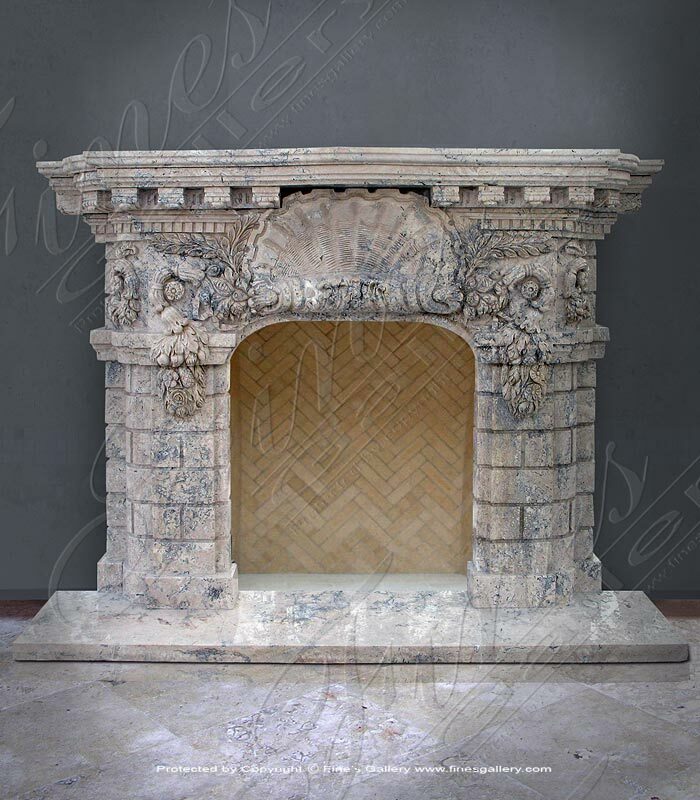 This ornate fireplace is decorated with a large scallop shell surrounded by lavish flower garlands, dentil molding, and a faux brick wall. 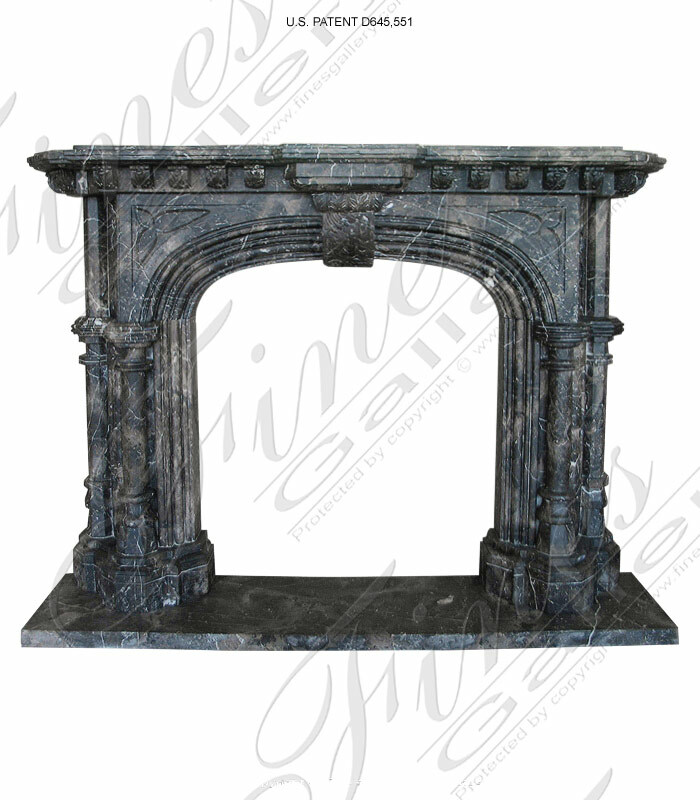 This majestic fireplace with its elegant Tudor archway and triple-columned jambs, make a bold statement of Gothic magnificence. 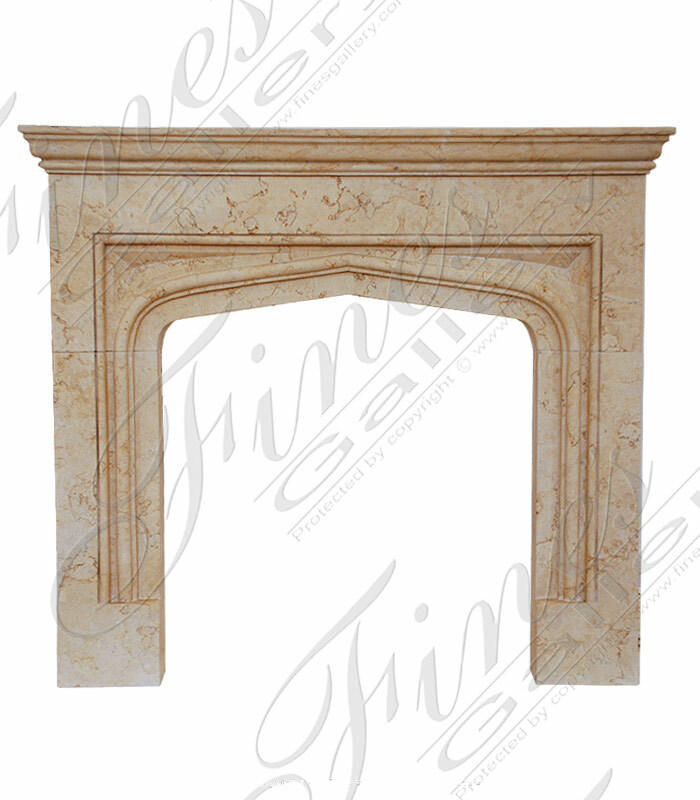 Featuring two tones of fine marble, its beautiful design is the perfect compliment to an elegant and luxurious setting. 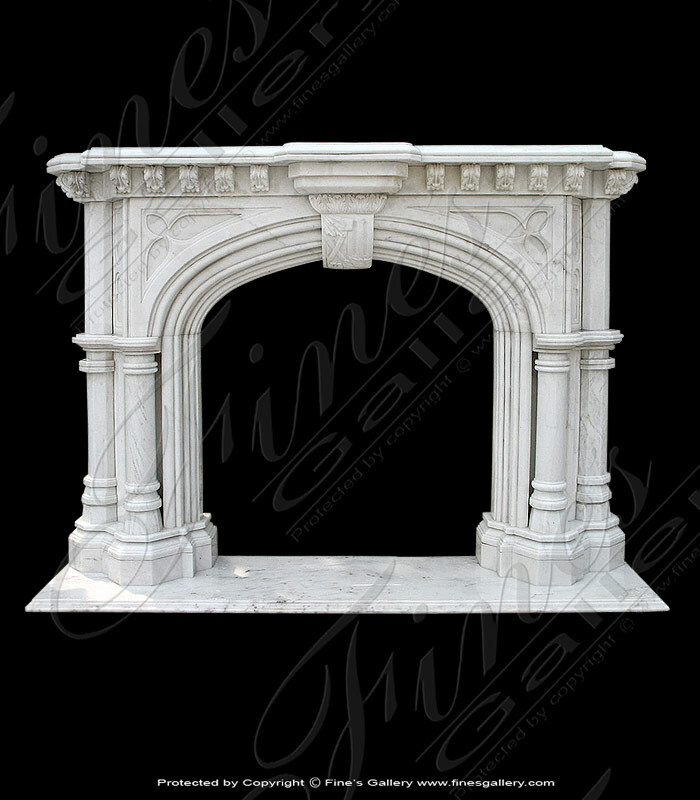 This majestic fireplace with its elegant Tudor archway and triple-columned jambs, make a bold statement of Gothic magnificence. With soft cream tones of fine marble, this beautiful design is the perfect compliment to an elegant and luxurious setting. 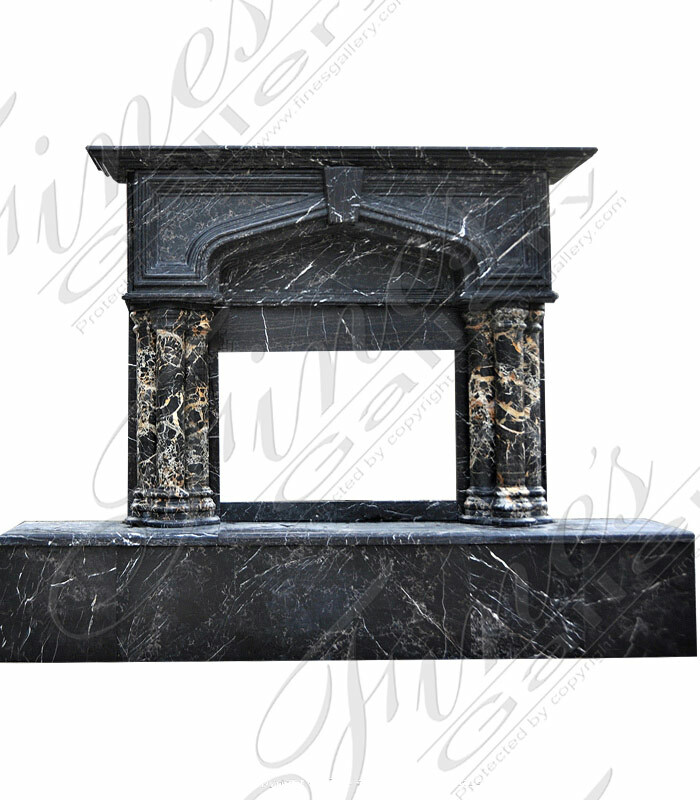 The description for this beautiful Marble Fireplace is not available at this time. If you require additional information for this product please call 1-866-860-1710 and talk with a sales representative at anytime. Hearth Slab Not Included.